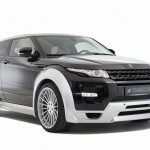 Not a day ago I wrote about one ‘Evoque’ to evade. The tarted up Indian Tata Safari was made to look like a Range Rover Evoque. But it actually looks like a poorly put together collection of Halfords supplies. Well, ladies and gentlemen, we have another one! And this time it’s actually a real Evoque. Moreover, the German tuning company behind it operates a little more professionally than the guys of BigDaddyCustoms that did yesterday’s ‘Moon Rover’. 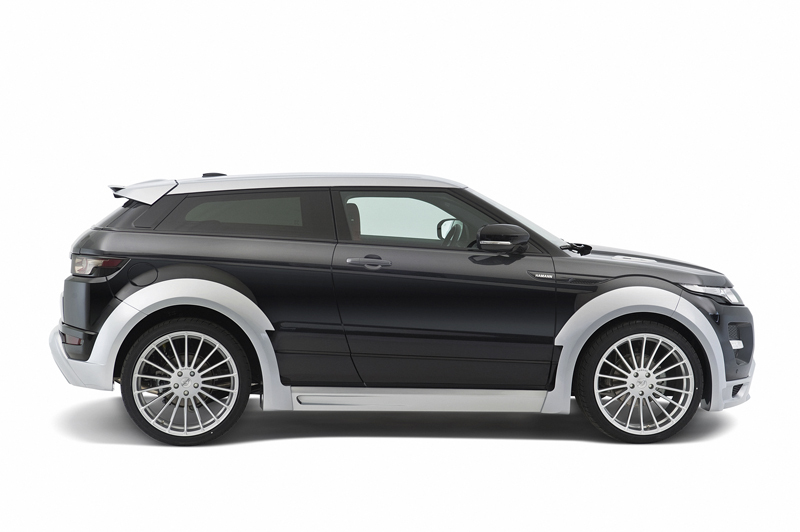 Hamann isn’t exactly known for its subtle touch-ups, but this one is a proper monstrosity. Yes, the Evoque. It’s a good looking car, no doubt, but clearly its actual designers have forgotten about a few bits and pieces. Like big wide and white wheel arches, skirts and bumpers. Like a duo of serious stove pipes for an exhaust. Like cherry red racing seats. Like wheels the size of millstones. Thankfully Hamann is here to fill those gaps! They’ve fitted an immensely wide body kit, making the car 2.8 inches wider in the front and 3.2 inches in the back. It also sizes up the wheel arches and so there’s plenty of room for those 22-inchers. Truth be told, the Evoque is a little bit of a car for mums of well-to-do families that want something stylish to stop by Harrods with. Maybe picks up the kids from boarding school before the holidays. I mean to say, it’s not very manly. Victoria Beckham helped design it for heaven’s sake, what did you expect?! 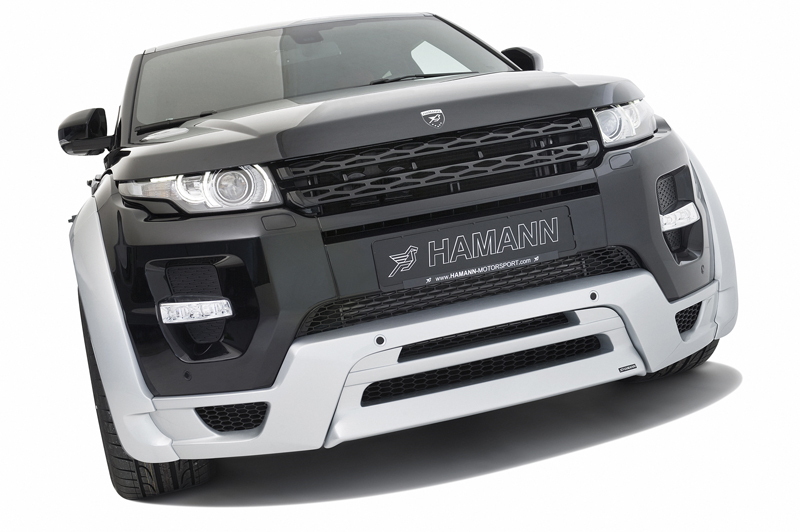 So yes, Hamann certainly makes it look more masculine. A bit like a pumped and oiled-up bodybuilder is masculine. 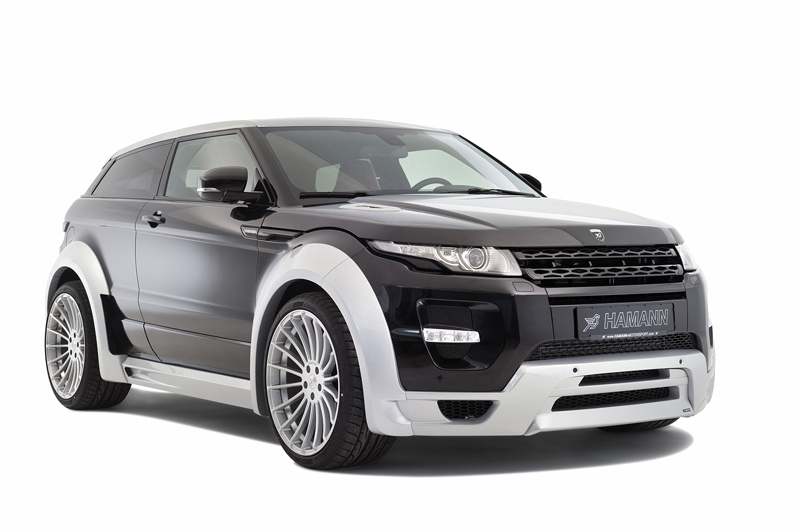 Seriously, why would any Evoque owner have Hamann make them look like a gym-addicted drug dealer?! 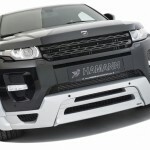 Indeed, Hamann will probably sell loads of these things. Thankfully the majority will stay in Germany or be shipped to emerging markets. This entry was posted in News and Views and tagged car, ford, Germany, Indian Tata Safari, LS, range rover, range rover evoque, seat, Thankfully Hamann, Victoria Beckham by The Flying Dutchman. Bookmark the permalink.